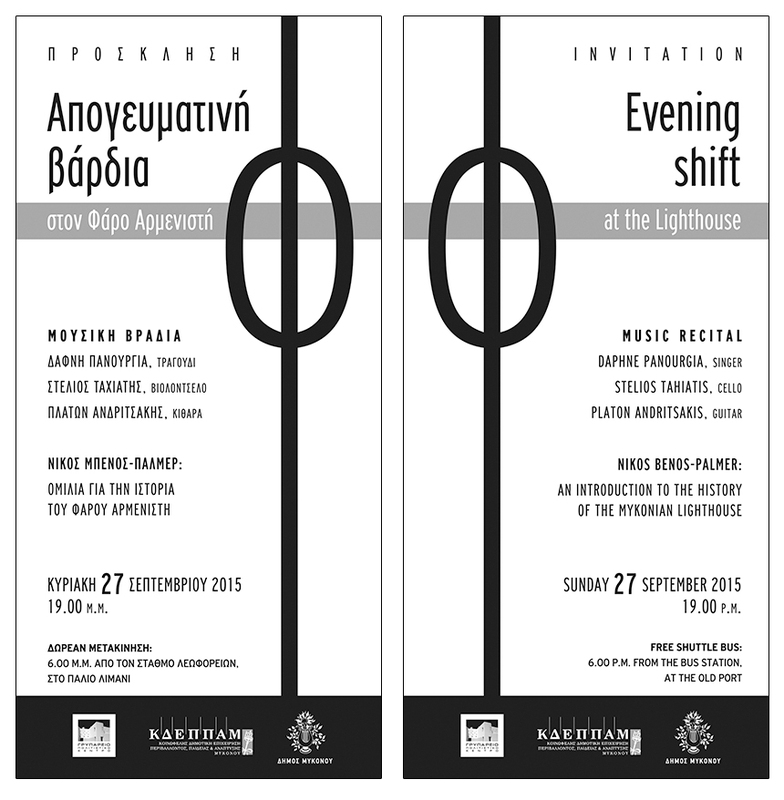 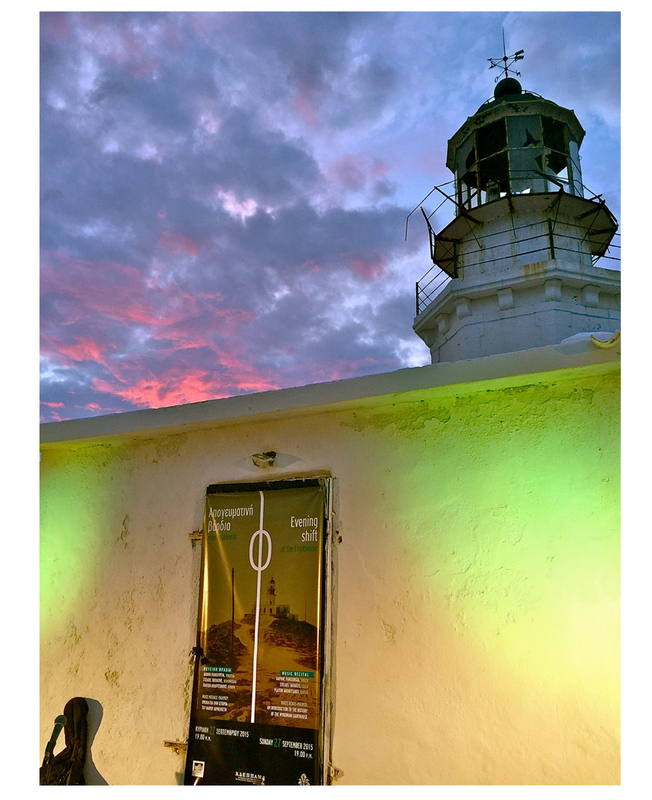 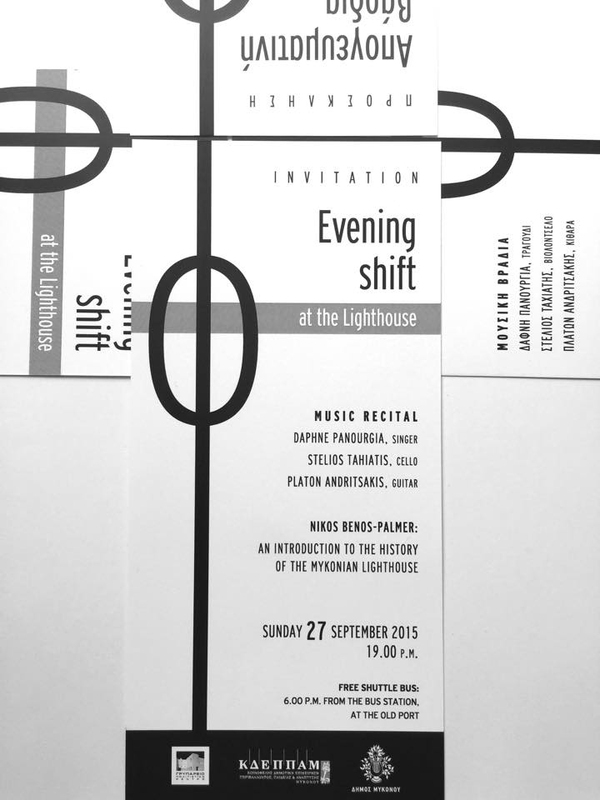 Promotional material (poster, banner, programme and invitation) for an evening recital at the Armenistis Lighthouse, in Mykonos, during the total eclipse of the moon. 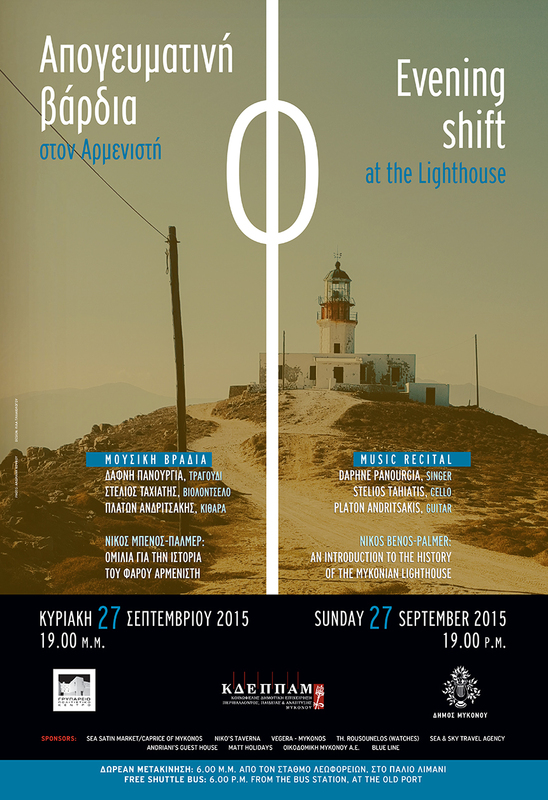 Organized by KDEPPAM, the Municipal Cultural Organization of Mykonos. 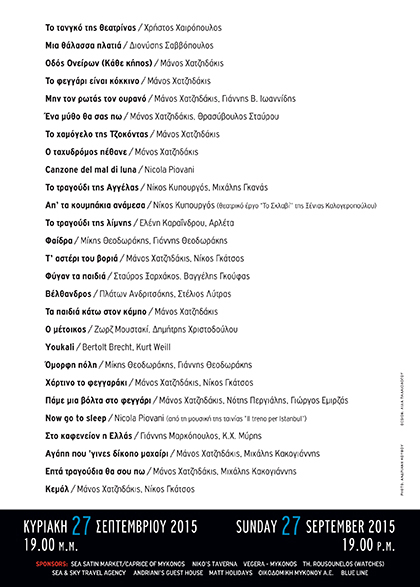 Poster 33 X 48 cm. 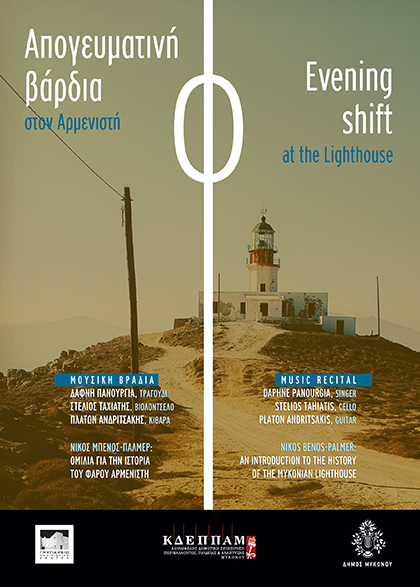 Programme, side a + b.